Can't attend? Follow Hacking Social Media Marketing & Digital Content Creation to know of future events! In the fast-paced and crowded digital world, you need the right message, caption and content to get eyeballs. 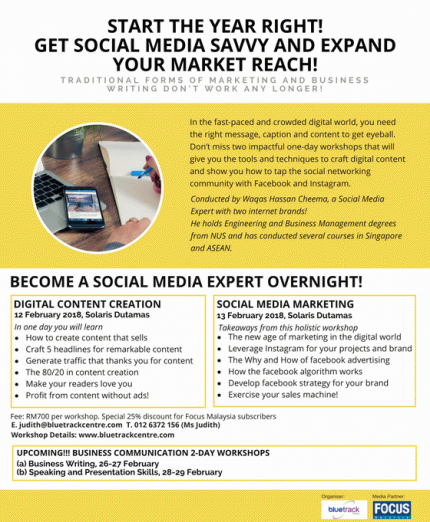 Don't miss two impactful one-day workshops that will give you tools and techniques to craft remarkable digital content and show you how to tap the social networking community with Facebook and Instagram. Fee: RM700 per workshop. Mention 'Peatix' for 15% discount.